Horizon is still the same friendly neighborhood credit union you’ve always known and trusted. But we’re proud to offer our members some new, modernized services to meet the challenges of today. Check out some of the features we’re adding to improve your experience. And if you’re not already a Horizon member, we invite you to join us today. It’s quick, easy and free to start reaping all the benefits of credit union membership right away. With free online banking and bill pay, you’ll keep track of your accounts anytime, from anywhere, and avoid the hassle of snail mail. Free Mobile banking lets you log into your account right from your smart phone. Signing up for free eStatements saves paper and time. Plus, it keeps you organized. Any time we spot suspicious activity on any of your accounts, you’ll receive instant fraud alerts via text, phone or email. Horizon’s Visa® debit card makes shopping as easy as one swipe. Access cash quickly at any of our conveniently located ATMs. Stop in to any of our branch locations for superior service from local professionals. We’re here to guide you on your financial journey. Whether you’re at work, waiting in line at the grocery store, or traveling on the open road, Horizon mobile banking lets you access your accounts from anywhere, anytime. Check your balance, transfer money, or pay bills right from your smart phone. The power is in your hands. Save money. It’s free to sign up, and there’s no fee or balance requirement to use it. Mobile banking is the convenient way to track purchases, pay bills, or transfer funds. Easy access to your accounts and loans lets you track and monitor your balances. 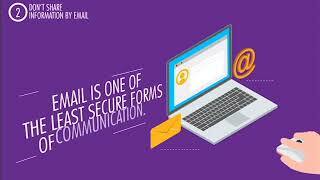 Secure login protection ensures your account remains safe from fraud. Time is money. Rather than spend it doing chores and running errands, we want you to enjoy every moment. With Horizon Online Banking, you can. It’s simple to check account balances, make transfers, or pay bills whenever your schedule allows. Plus, it’s free. As long as you have Internet access, you’ll love the convenience and freedom of Online Banking. Account setup can be done simply and quickly for all of your accounts. Save time and paper by signing up for free eStatements. Convenient to login from anywhere, anytime. Track bills and expenditures online. Monitor your balance accurately with daily updates. Never miss another payment. Horizon online Bill Pay lets you avoid late fees, schedule payments and get automated reminders on a schedule that works for you. It’s free, convenient and simple to link to any of your accounts. Bill Pay is the best way to get a handle on your finances. Sign up today! No fees! Online Bill Pay is free to set up and free to use for the life of your account. Automate payments on your own schedule so you never miss a payment again. Save paper, stamps and time. Avoid a trip to the Post Office and pay online instead. Rest easy knowing your funds are in safe hands with Horizon account protection. Get superior service from local professionals you trust, online, over the phone, or in person at any of Horizon’s conveniently located branches. Say goodbye to piles of paperwork and hello to paperless eStatements – delivered straight to your inbox like clockwork each month. Sign up easily through Horizon online banking. Privacy is our No. 1 priority, so rest assured your information is kept safe via our secure site. Going digital helps the environment and Horizon. It keeps costs low, so we can pass the savings right back to you. Click, view and download any time of the day or night; print only when you need to. Keep banking simple! Quick, secure access to your account(s), 24 hours a day, 365 days a year. One simple call lets you make payments and transfers, check your account balance, or verify that a check has cleared – all within minutes. Dial us any time of day or night at (570) 326-2407 or 1(877) 326-2407 (out of area) to get started. Set up a unique PIN (Personal Identification Number), then enter your account number from a touchtone phone. Connect to our safe, private, automated services anytime you need them. We’re just a phone call away. Carrying a Reloadable Card when you plan to travel, whether for business or pleasure, is more convenient and safer than carrying cash. These cards can be used for any purpose, like going on vacation or for parents to give a limited amount of funds to their college or high school students, etc.